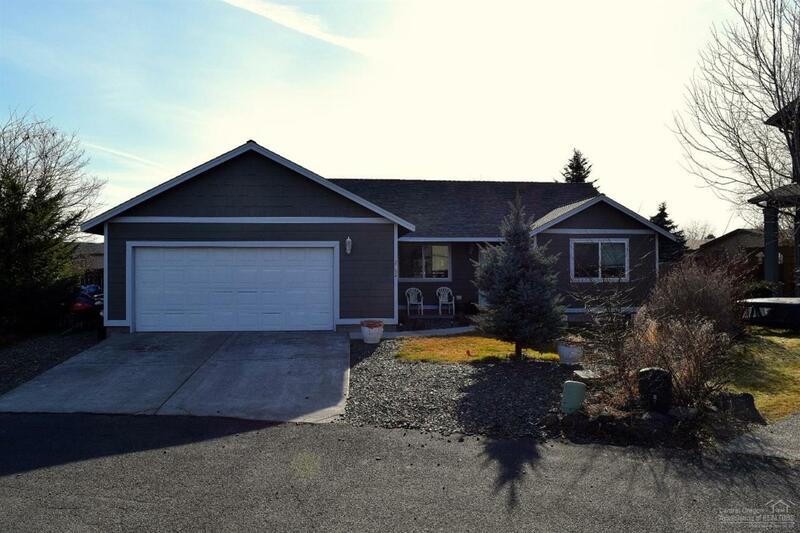 Beautiful custom built 2013 single story ranch style design w/a light bright open floor plan. 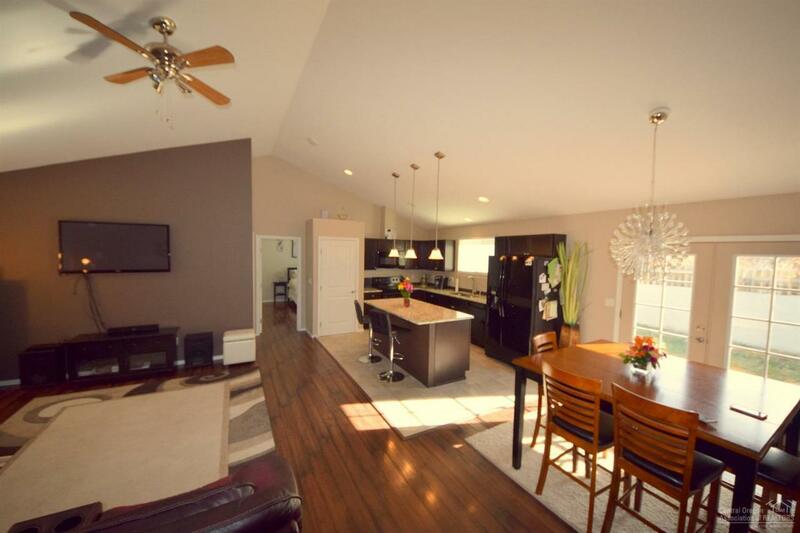 Vaulted ceilings, ceiling fans, high end laminate floors, marble counter tops in kitchen & bathrooms. Located in Ni-La-Sha Village in NE Redmond. 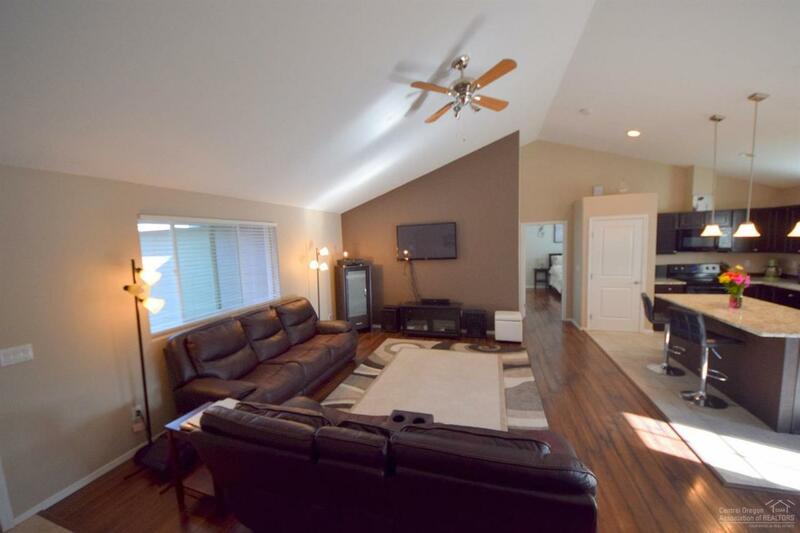 Three large bedrooms, all large enough to fit king size beds, all w/walk in closets. Large corner lot in a cul-de-sac. 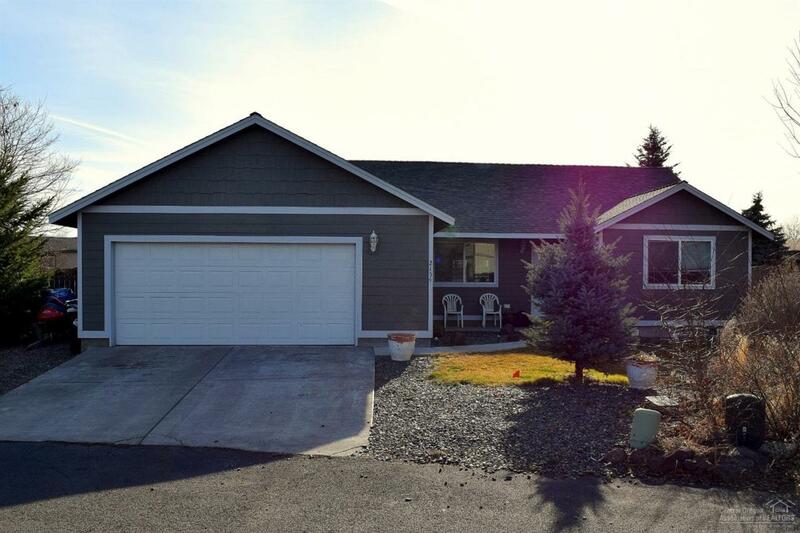 Fully landscaped front & back yards w/sprinkler system. Private back yard, toy parking. Exterior paint has a 25 year warranty. Includes all appliances.